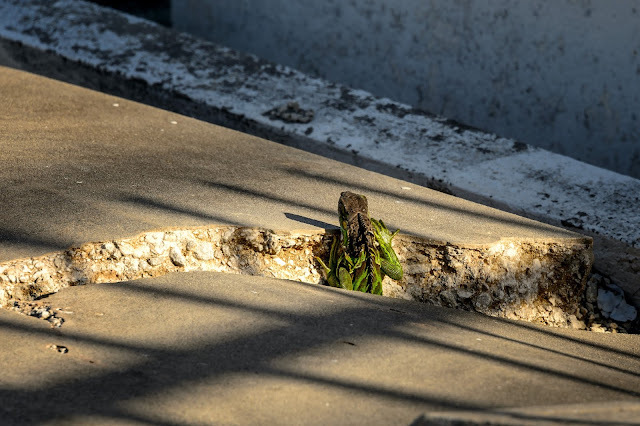 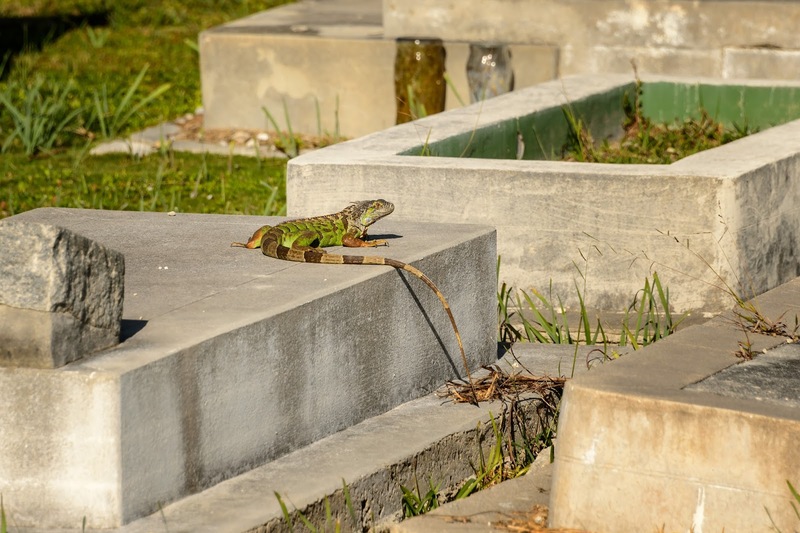 We hadn't even made it to the cemetery entrance before we spotted our first lizard peeking out between some cracked crypt. 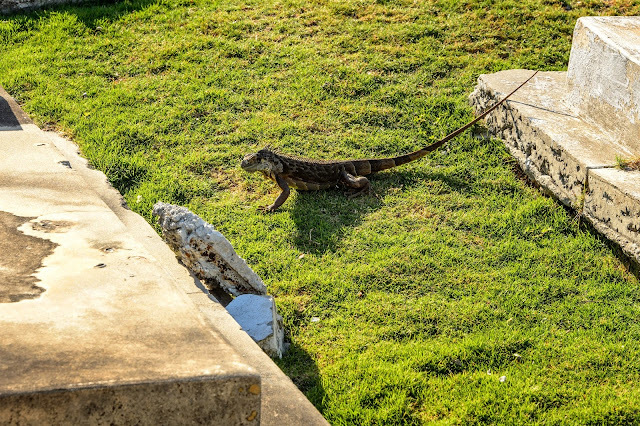 Walking slowly was the best approach to seeing more iguanas. They were everywhere! 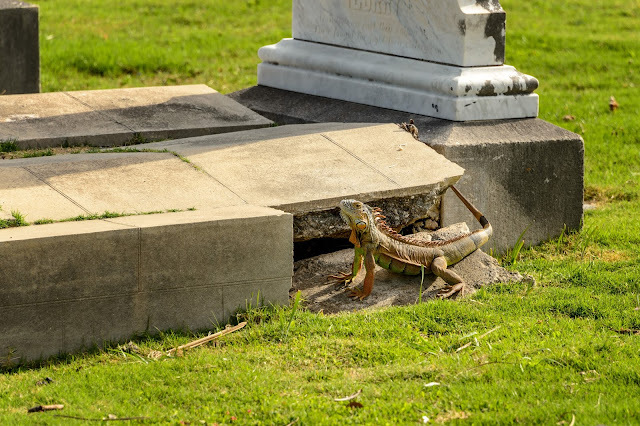 If you got too close they would scurry into the graves. 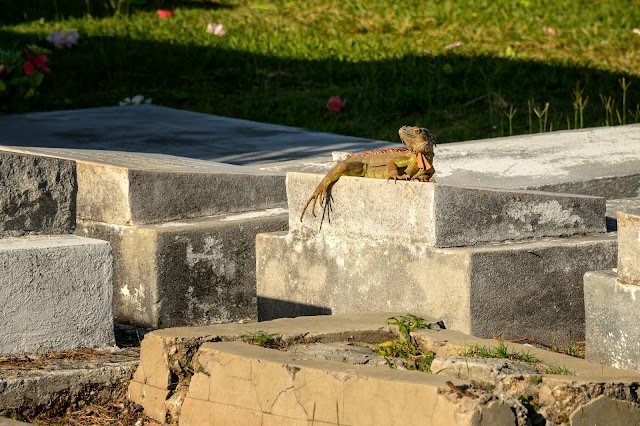 A bit creepy but it kept us entertained. In our excitement, we made sure to stay on the pathways as to not disrespect those buried. 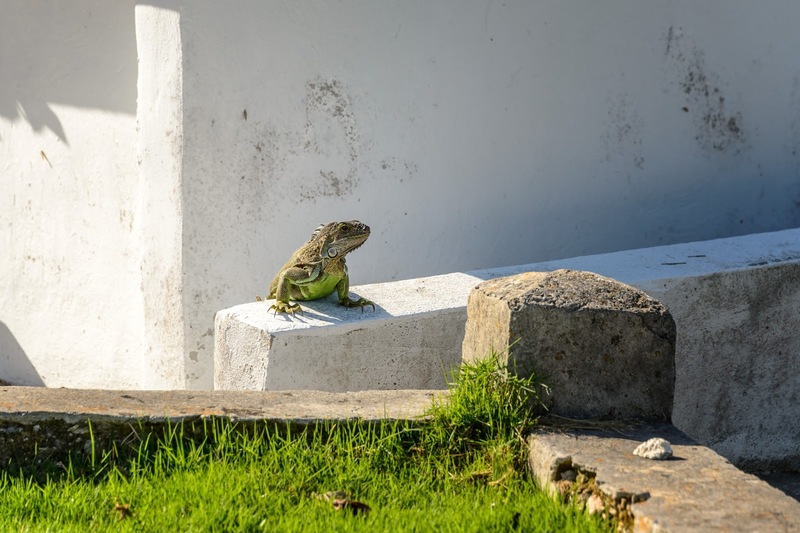 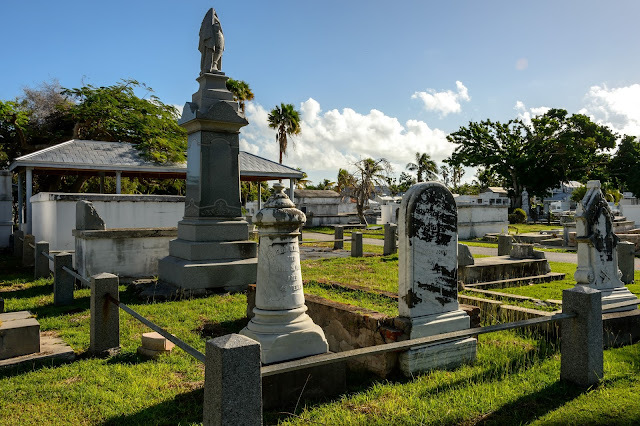 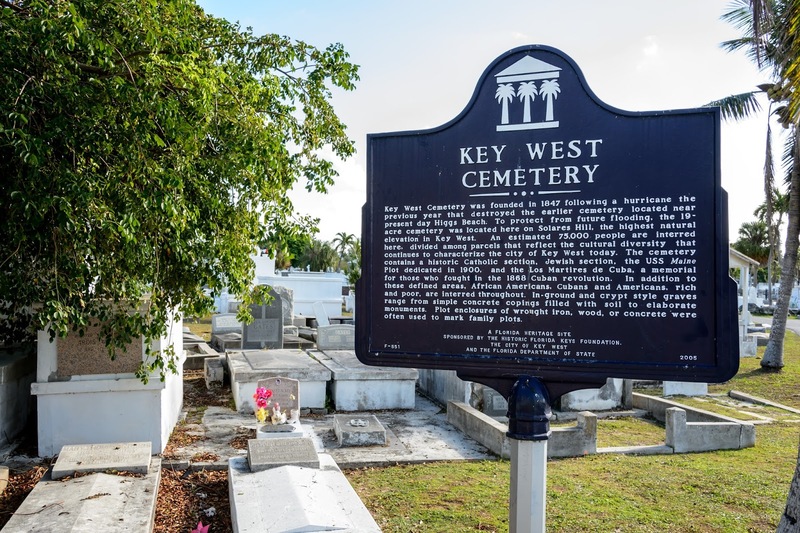 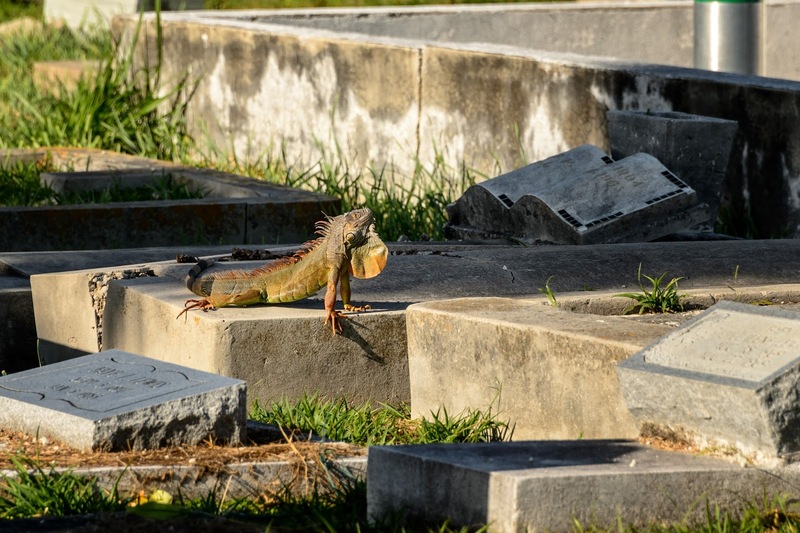 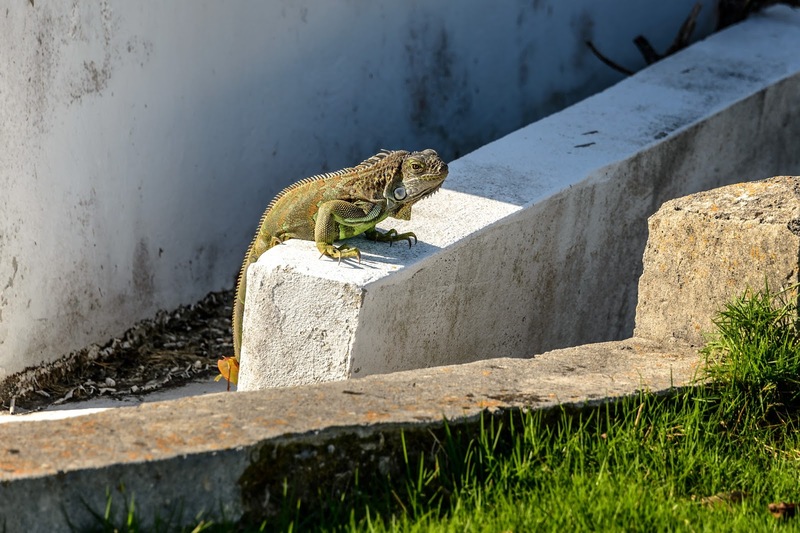 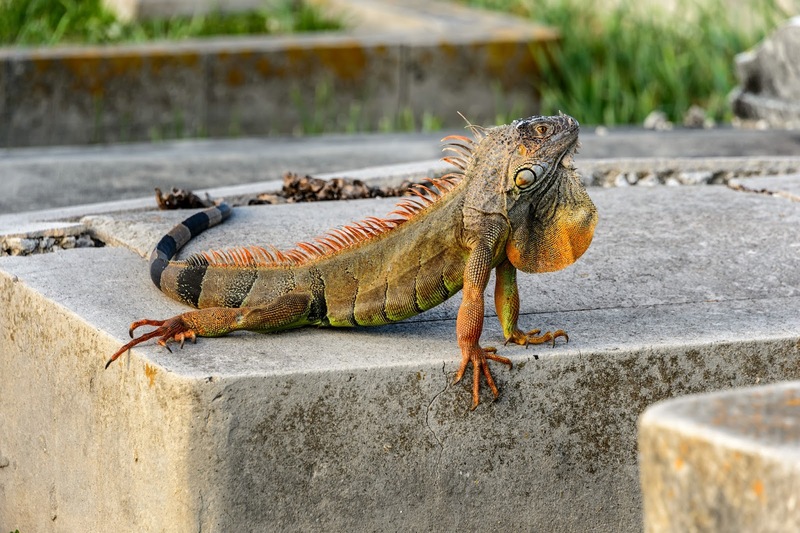 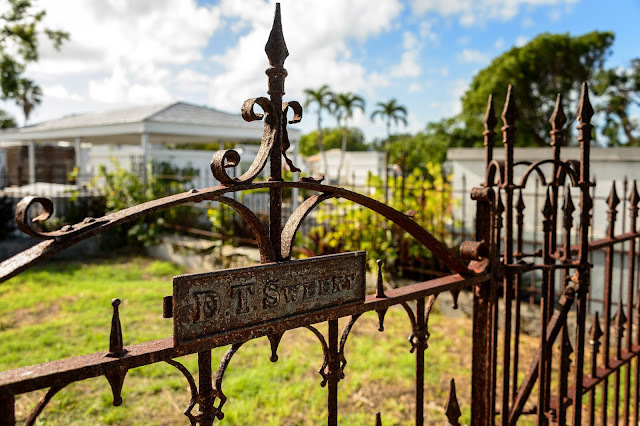 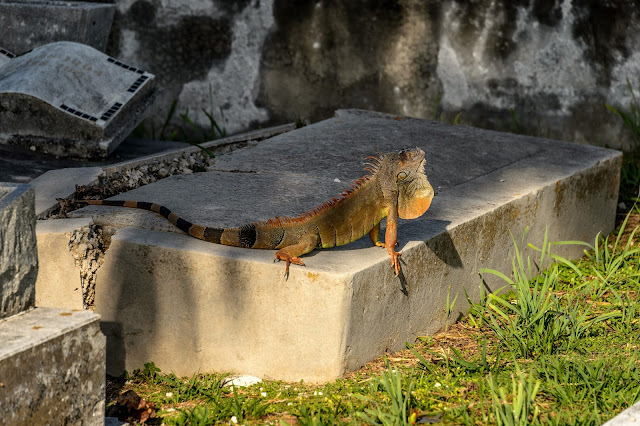 In the short walk that we took through the Key West Cemetery, we spotted more than a dozen different iguanas sunning themselves in the morning light.